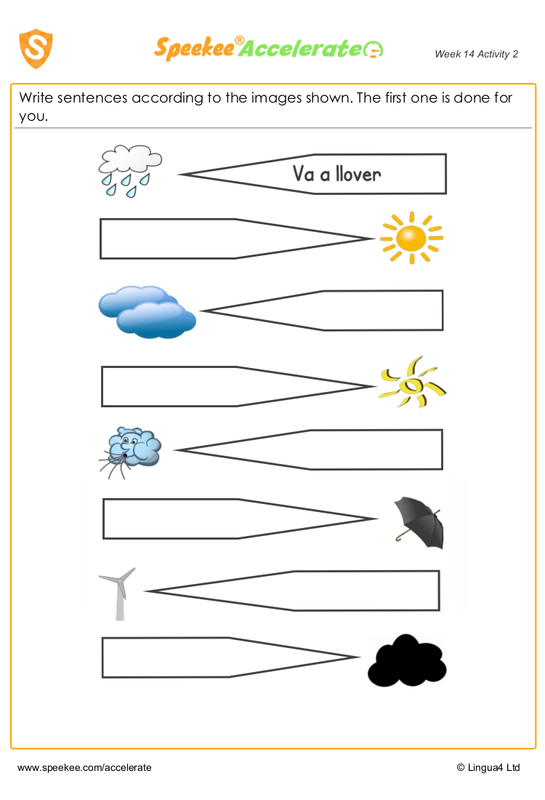 Spanish weather worksheet. What's the weather going to be like? Write sentences according to the images shown. The first one is done for you.